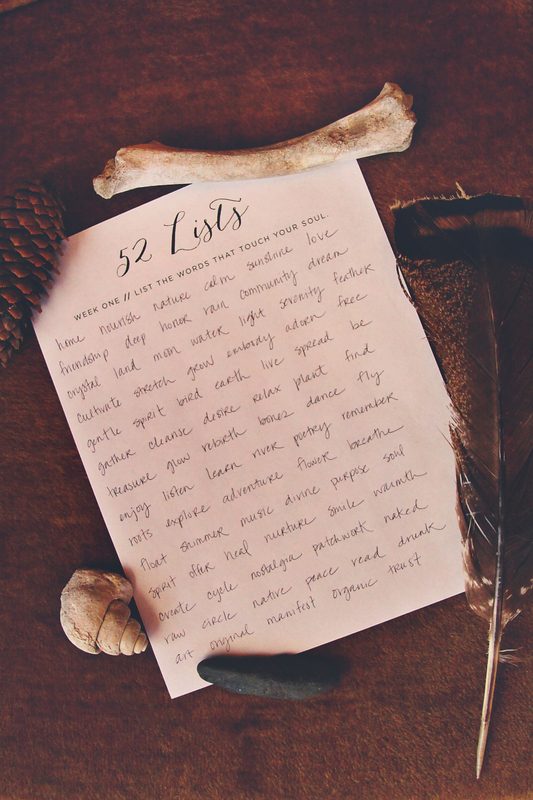 I have been following along with my friend Moorea's 52 Lists project as I can. I decided to keep most of my lists private and just for myself and my own healing and transformation. But this one I thought I would share b/c its more light and fun, and I wanted to spread the word about her amazing project before it gets too deep in, b/c I think everyone would benefit from it. Im a list person, so as soon as I saw her post about it, I got a wee bit excited b/c I love making lists. I wasn't able to jump right in at the time, so I have gone back and printed out all of the lists up until about a week ago, so you can do the same if you are behind and feeling like you cant start b/c you haven't been doing it each week. I tend to get behind on almost every online project or e-course I ever do. So I always just know I can print things out and do them on my own time, and that works for me. I realized a while back there is no point in pressuring myself to keep up with anyone else, b/c this is my own process. So, back to Moorea's lists. They are pretty life changing, even in little ways. Some are more deep thinking and some are more light and simple like this one. But each one gets you really thinking about yourself, and your personal growth and development, which I think is good for anyone. If anything, it helps you to feel more connected with yourself. I think the more connected we are with ourselves, the more we can honestly and opening connect with others. So I think what Moorea is doing is great. And I know she is going to be doing some big change the world kind of things in her life. 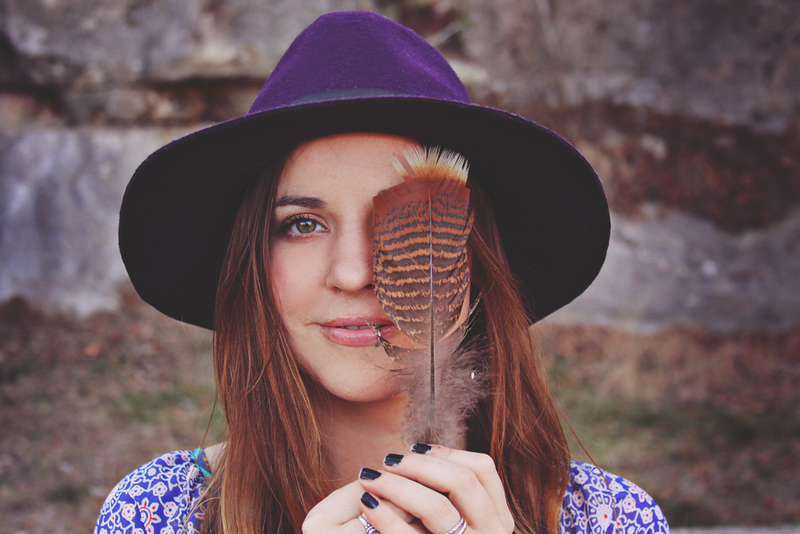 Go checkout her 52 Lists Project here. On another note, I hope everyone went to check out their horoscope with KV yesterday. They are some seriously amazing reports. And if you missed it, there are some really good releasing and grounding rituals, along with some free art!